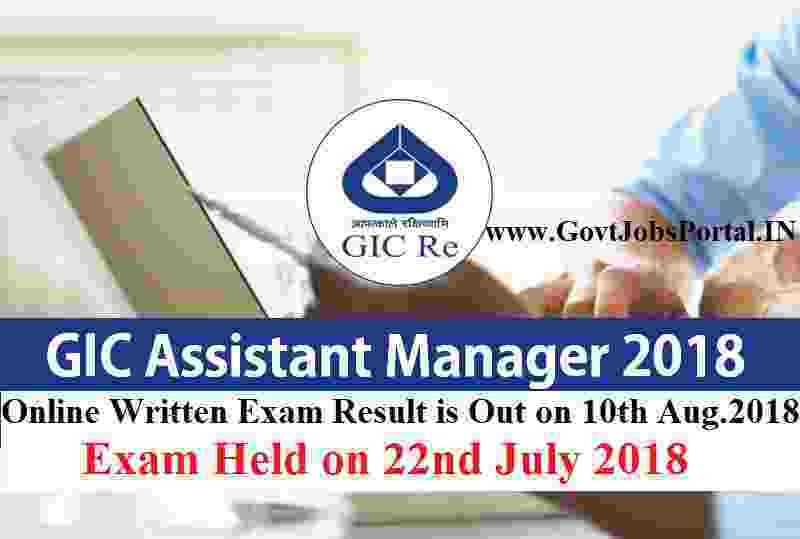 Great new to all who appeared in the General Insurance Corporation (GIC) examination for Assistant Manager posts all over India. 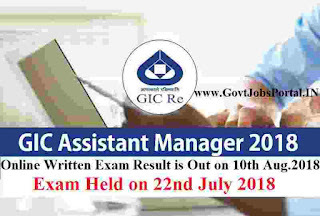 Today on 10th Aug. 2018 GIC officially launched the written examination result on their website. This written examination was held on 22nd July 2018 in the various exam centers all over India. Within 19 days GIC recruitment department published the exam result today. So those who appeared in this written examination can now check their exam results. Those who get selected in this written examination will go through the INTERVIEW round for final selection. All the to all the participating candidates in this examination. Exam was held on 22nd July 2018.